Did you know that many employers don’t offer dietitian services as part of their employee health plans? Considering that food and nutrition are vital to good health and productive employees our services should be covered by health plans. If your employer doesn’t cover our services please let them know that you’d like them too! 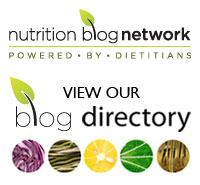 Tags: dietitians, Dietitians of Canada, employers, health plans, healthy eating, nutrition, productivity, RDs | Permalink.